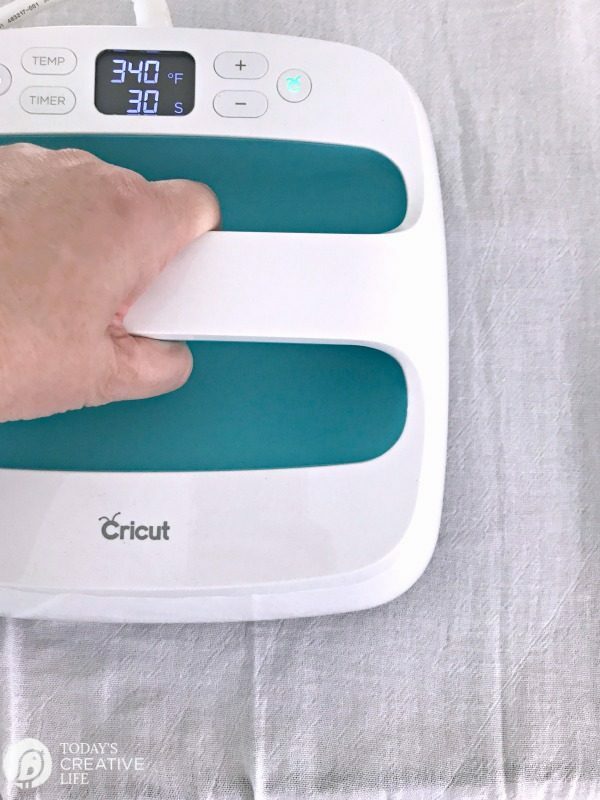 We all know how much I love DIY home decor, so partnering with Cricut for their newest Cricut® Explore Air 2™ Martha Stewart Edition was right up my alley! 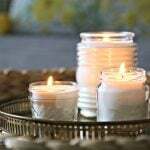 Spending time in my craft room creating beautiful things for my home is always a good day! 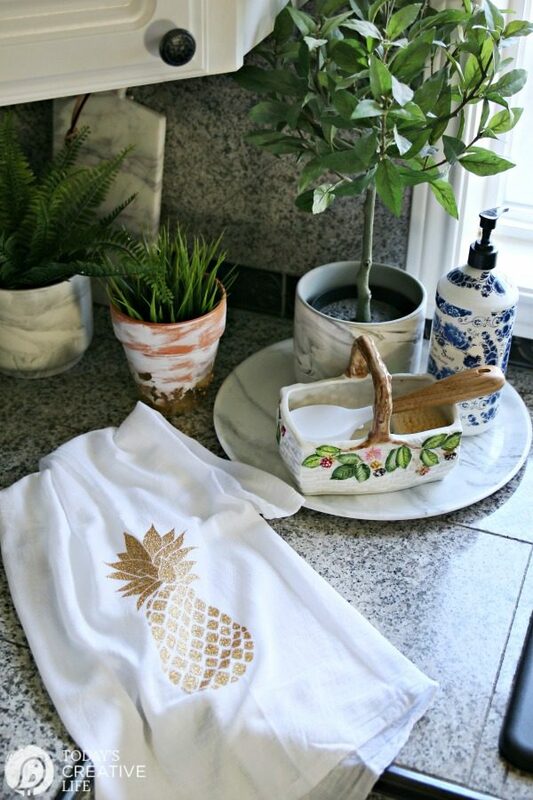 Creating DIY Home Decor is one of my favorite things! 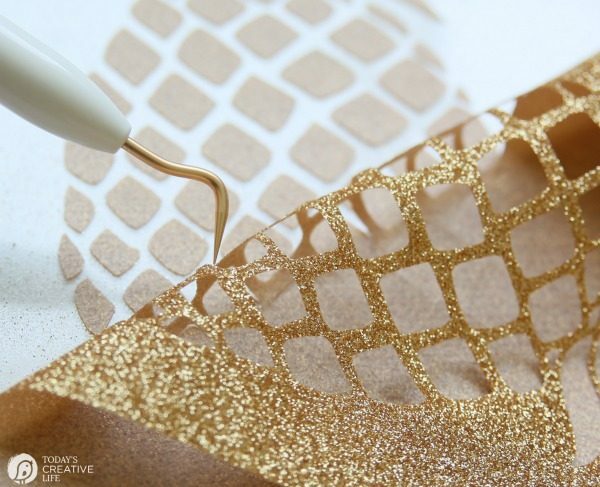 TCL has partnered with Cricut for this post. 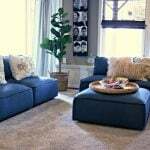 All opinions and ideas shared about this project and product are 100% mine. Affiliate links for products listed are for your convenience only. This costs you nothing extra. If you happen to purchase anything as a result of clicking, TCL will receive a small percentage. Thank you for your support. This allows me to continue to offer you free content. 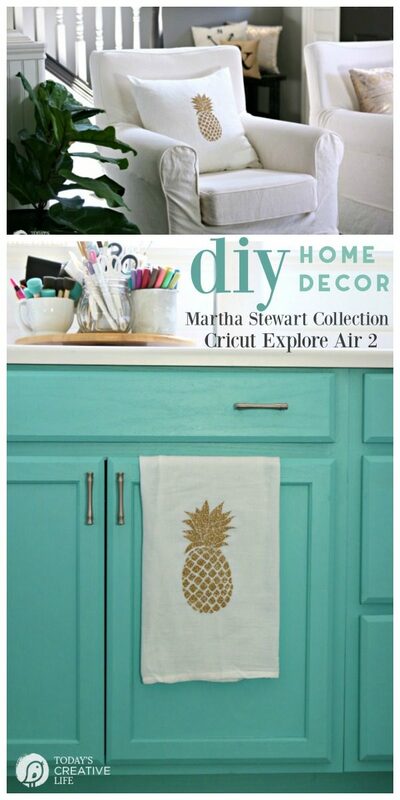 I’m sharing two simple Cricut Explore Air 2 Home Decor Ideas using the Martha Stewart edition and collection! With this machine, you can make professional-quality and personalized projects for any event! 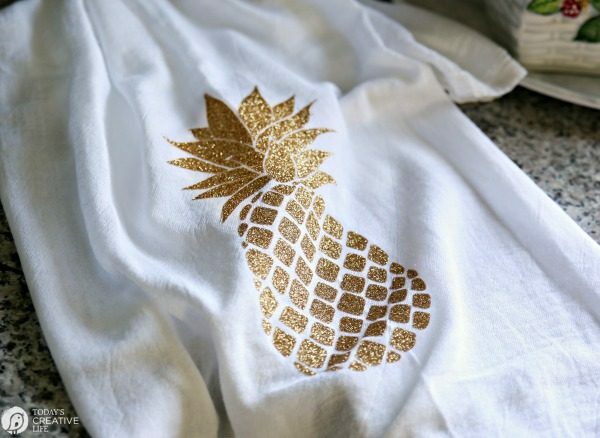 Create personalized T-Shirts to party supplies, the possibilities really are endless! 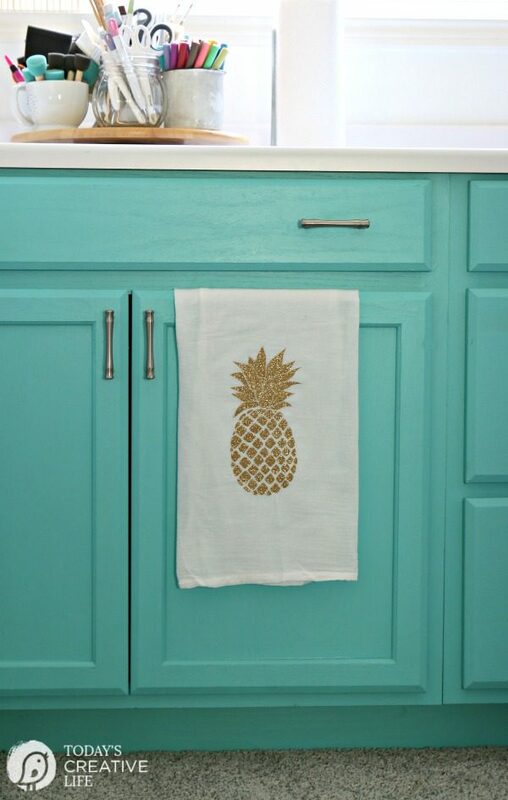 See all my past Cricut Made DIY Projects on my site here. 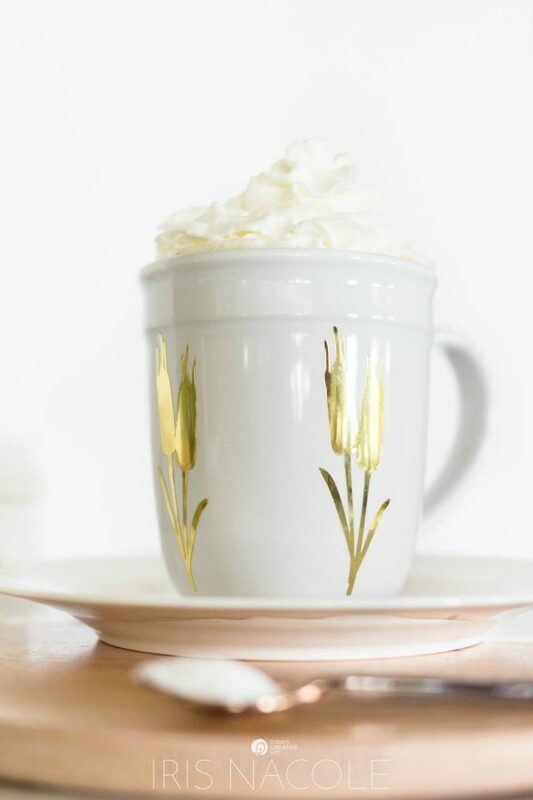 This reminds me of when I joined a team of bloggers for a Cricut challenge for National Ice Cream Month. 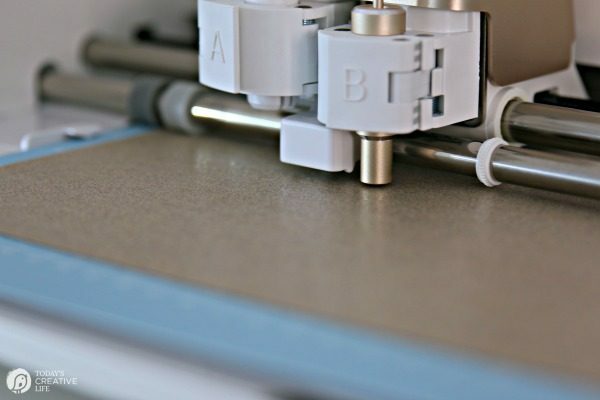 No matter how many Cricut models or colors they release, I am always awestruck by how gorgeous their machines are! 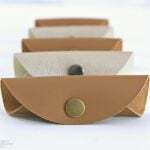 I’m loving the sleek and stunning vanilla pearl finish with brushed gold accents that also comes with a color coordinated Basic Tool Set (weeder, spatula, scraper, tweezers, and scissors). 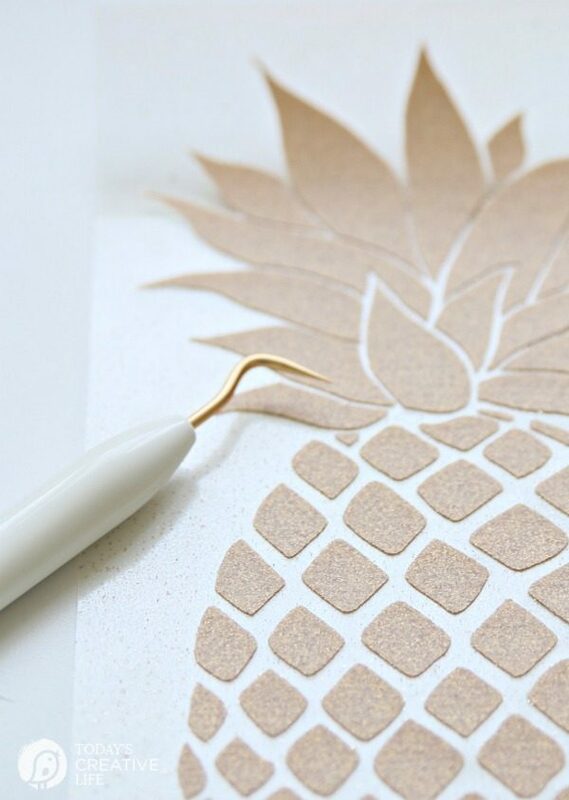 Purchase this Cricut Explore Air 2 Martha Stewart Edition exclusive to Michaels here. 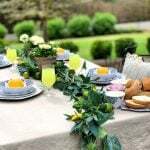 Partnering with Martha Stewart was a natural fit, bringing a whole collection of Martha Stewart projects to choose from. 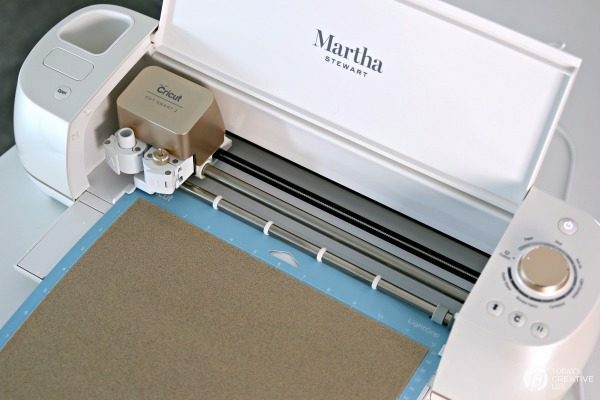 In fact, not only does this machine cut over 100 materials 2x faster than the previous Cricut Explore models, but it comes with 25 exclusive Martha Stewart Images included with this beautiful machine. 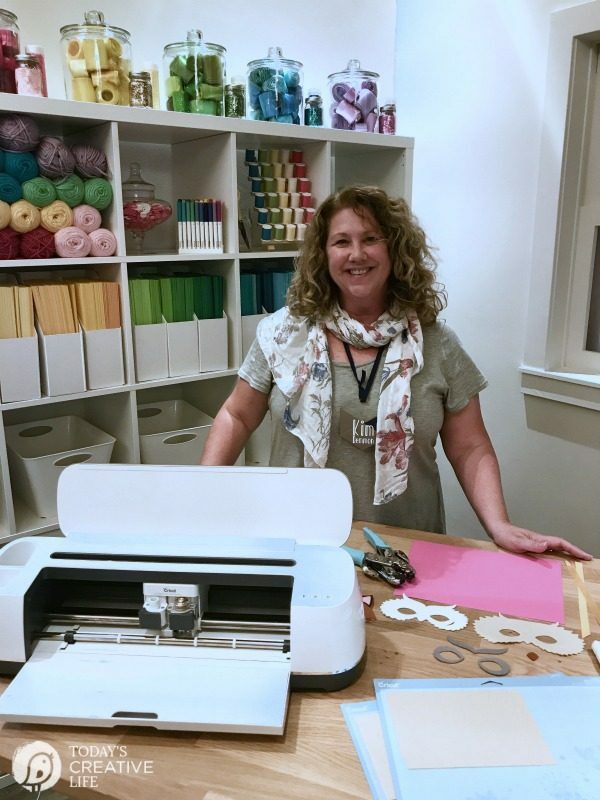 Of course, you’ll also be able to access the Cricut Design Space with 1000’s of ready to make projects and images for all your creative ideas! I LOVE how easy these machines are to use, because I am no expert, but you’d never know it! Someday I plan to tackle all the Bluetooth capabilities this machine has and use my smartphone to create! 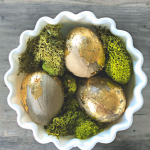 But for this project, I wanted to create a couple simple home decor items using their gold metallic iron-on vinyl and their gold glitter iron-on vinyl. 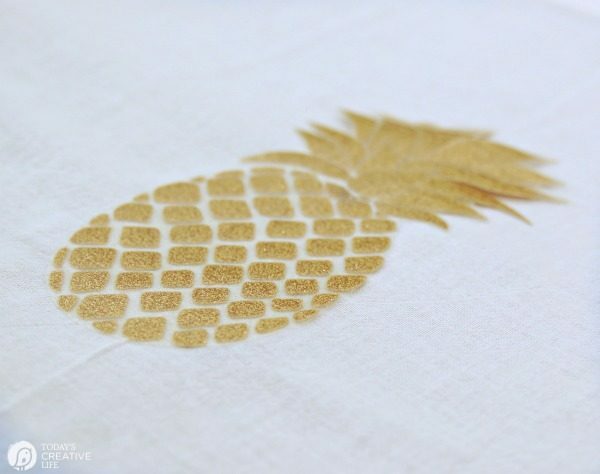 After searching through the free designs in the Martha Stewart Collection, I decided on the pineapple for a dish towel and a pillow cover. I couldn’t resist! 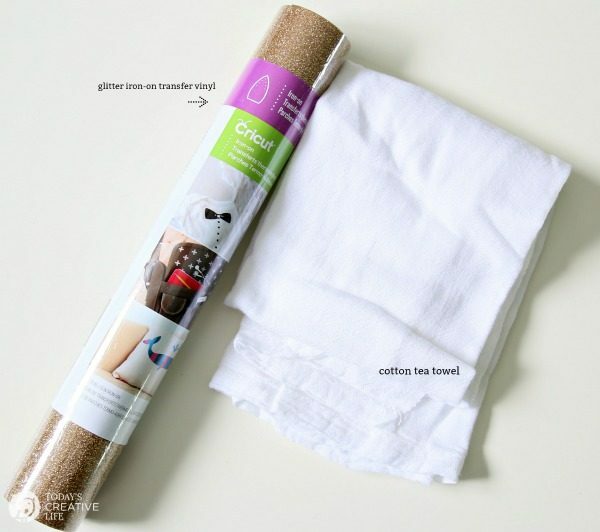 Those items are always my “go to” items for each DIY home decor projects! I LOVE how they turned out. I did make one mistake, ok, maybe two. I forgot to place my iron-on vinyl shiny side down the first time, but remembered really quickly! 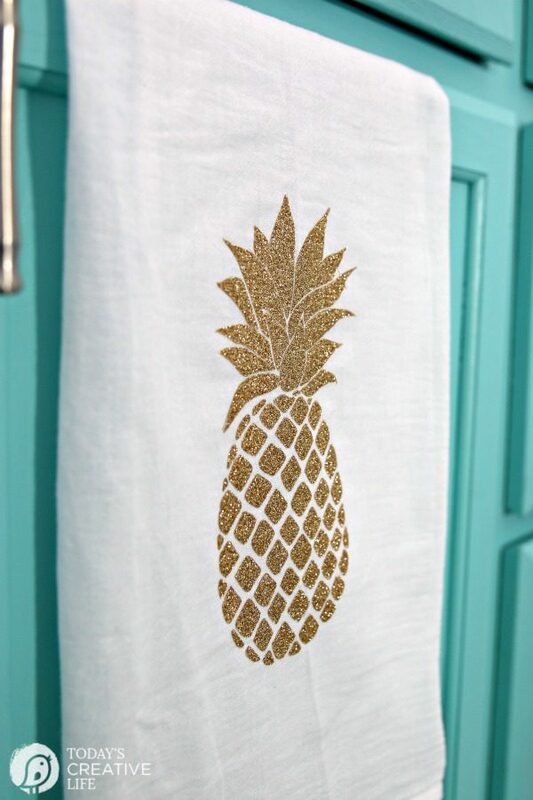 And I ironed on my first pineapple to low on the pillow. Because that was the last of the gold metallic, I used the gold glitter for the other side of the pillow and I’m SO glad I did! It looks FANTASTIC! I thought the glitter may be too glittery… but as I should have known….. nothing is ever too glittery. 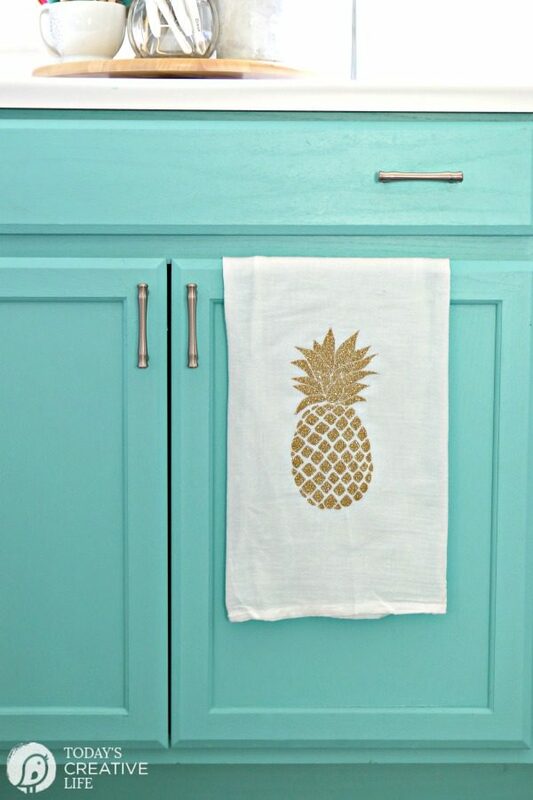 I am so excited to make more Cricut Explore Air 2 Home Decor Ideas! 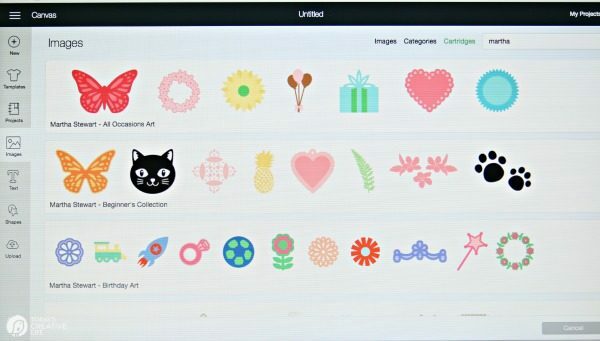 Open the Cricut Design Space and choose the Martha Stewart Collection. 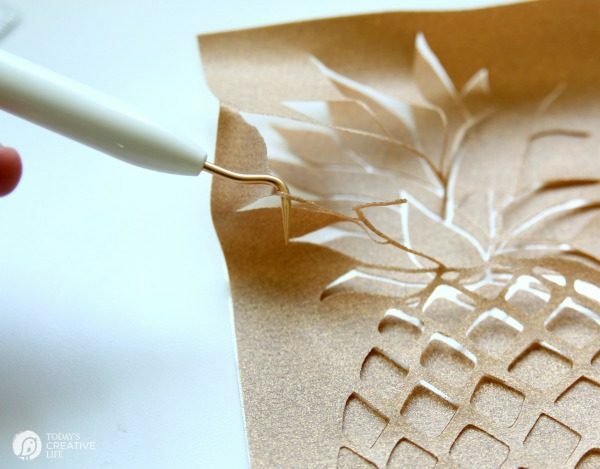 Click on the Pineapple and insert. 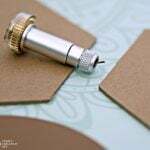 Apply your iron-on vinyl shiny side down on your mat and place it under the guides on the machine. Click “Make It” on your computer screen. 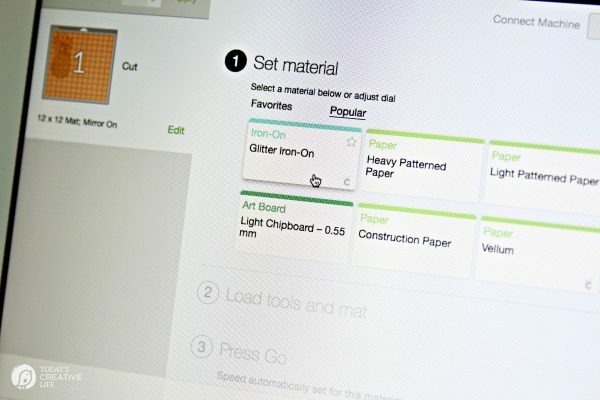 Set the machine dial to CUSTOM and choose your material on your device screen. Looking at your machine, push the load button that should be flashing. Your mat will load. 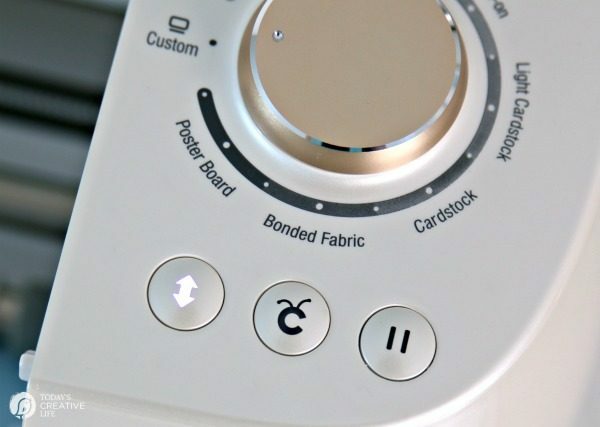 Push the “C” Cricut button when it starts flashing and your project will start to cut. When it’s finished, push the flashing Load button to release your project. Gently pull your paper off the mat. I cut away extra vinyl from my cut design. With the shiny side down, use your weeding tool to pick and pull the excess vinyl away from the design. Time to iron it on! Press your item to get rid of any wrinkles. If you’re using an iron, turn the steam setting off. 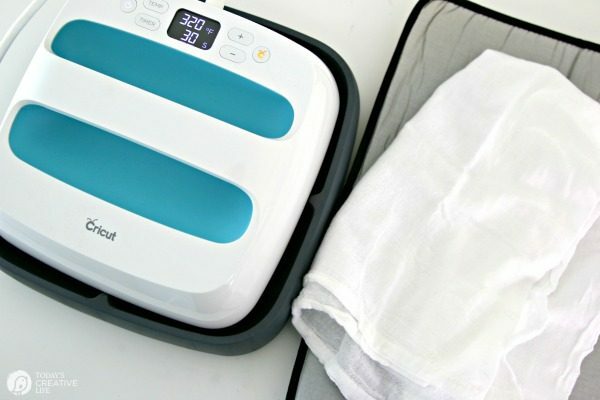 If you’re using an EasyPress, I’m going to assume that you know you need to use an ironing board or place something like a towel on your work surface. 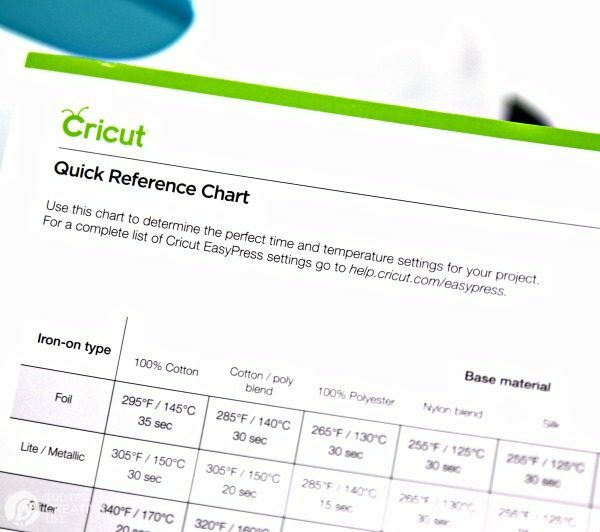 Check the recommended heat temperatures for different types of iron-on vinyl. See how I created beetle pillows for Halloween using my EasyPress. 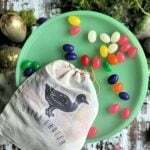 Position your design, shiny side up, on your tea towel or pillow cover. Because the pillow was 2 layers of material, I also placed a piece of cardstock between the layers so there would be no risk of the iron-on design adhering through the first layer. 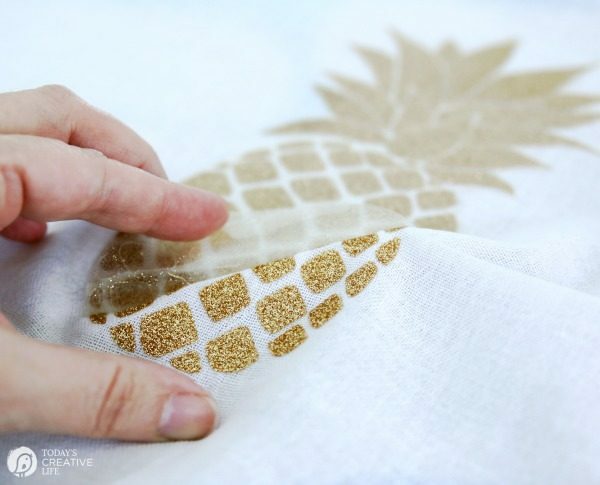 With your design placed, you’re going to iron directly over the design. Apply even pressure. If you’re using the EasyPress, all you do is lay it on, press the timer and you’re good. 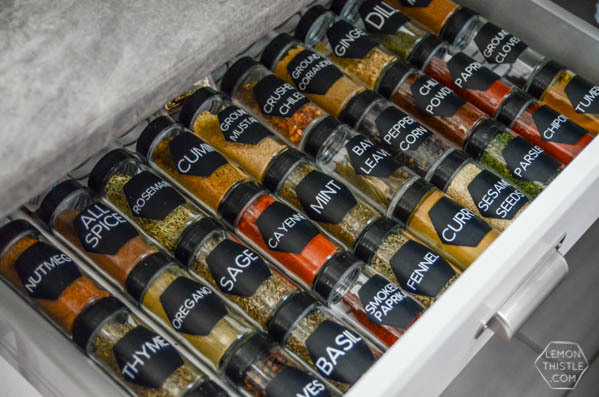 Let it cool a bit, then gently pull the clear top layer away from your design! TA DA!!! Wasn’t that easy? 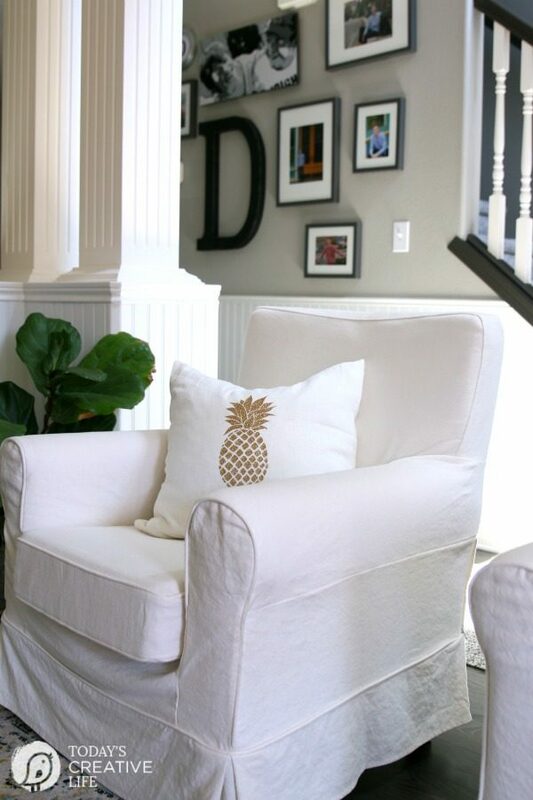 I’m so pleased with the pineapple design, I created a new pillow too! I love them both! 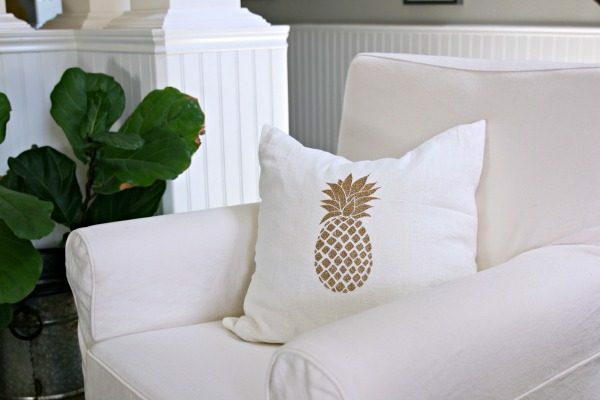 Cricut Explore Air 2 Home Decor Ideas are endless. 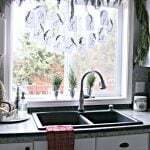 I can’t wait to create some placemats next! 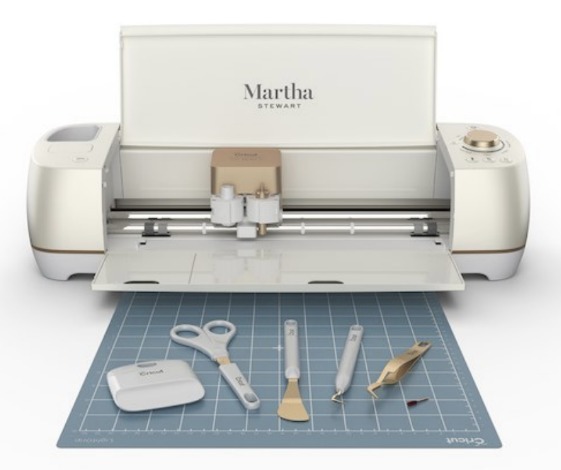 Grab your own Martha Stewart Edition Cricut Explore Air 2 and start creating today! Do you have to purchase the cuts for the Martha Stewart projects? I believe she has a free file available.